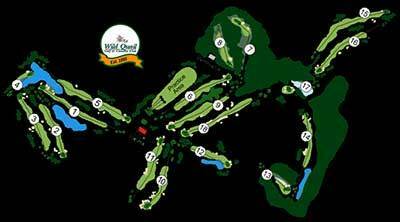 Wild Quail offers individual and group lessons to its members and their guests. Our Golf Professional Greyson Rossi can assist students of all abilities with their full Swing, Short Game, and Putting. Our Golf Professional also provide on-course instruction which, he believes is essential to lower your scores. As you know, playing golf is not just hitting balls on the practice range. We take the information that is taught on the practice range, and make certain that you fully understand your mistakes so, you can apply the information on the golf course. You will learn the value of course management, and how easy it is to focus on small decisions that directly relate to "Strokes Saved!” Not only can the adults in the family enjoy lessons, Wild Quail offers Junior Clinics throughout the summer too!